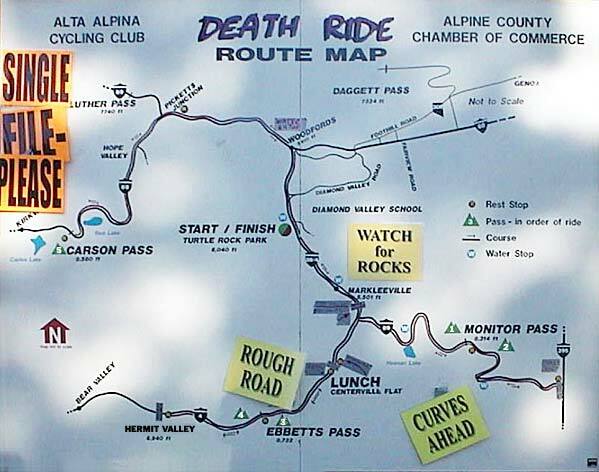 The Death Ride is a one day cycling event hosted by the Alpine County Chamber of Commerce in Markleeville, California. 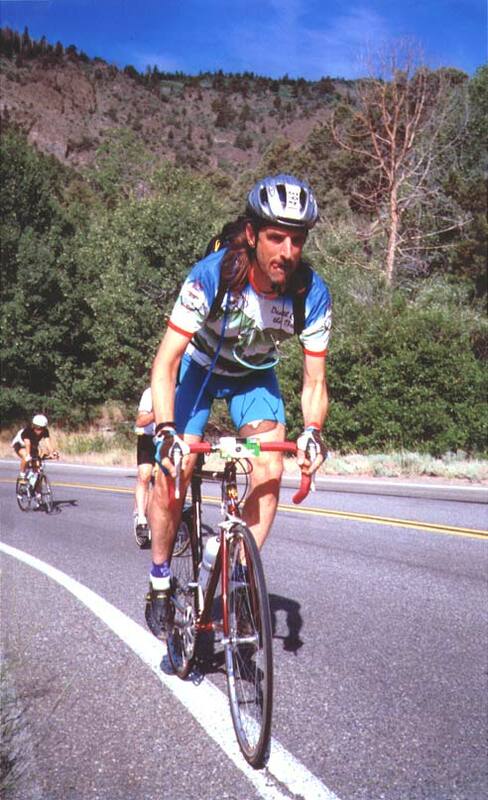 It is 129 miles with 16,000 feet of climbing over five mountain passes. Here is a map. A series of stickers are awarded at five far points of the course. Collect all five by completing the entire distance and you get a Five Pass Pin. There are cutoffstimes by which you must reach certain parts of the course. Check out the Death Ride 1999 Graphic. The Death Ride has served over the past several years as an excuse to go visit my family in California. Over the years a number of family and friends have taken the event on. This year it was only my brother, Pat, and I, who rode. I rode with BikeCam on my bicycle (confused? check out BikeCam). I had three cameras with me but only used twohad my hands full with riding. Ive not edited out any shots. Everything I took is here.